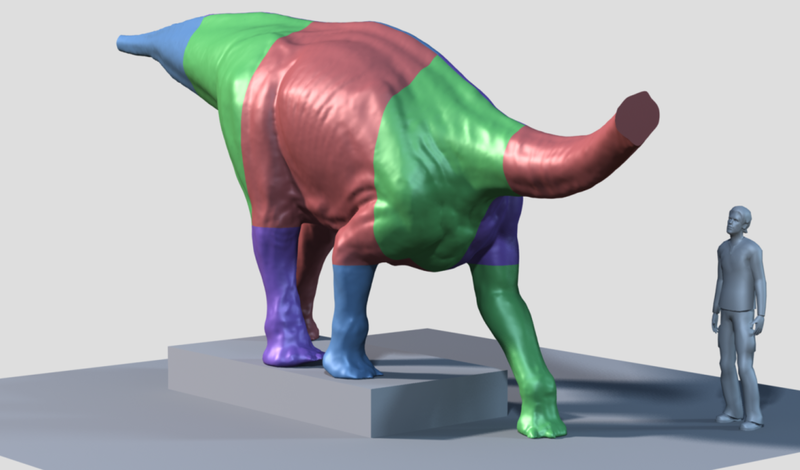 Although the original fossil material for Ferganasaurus was discovered in 1966, it was subsequently lost with only drawings of the original specimens remaining. 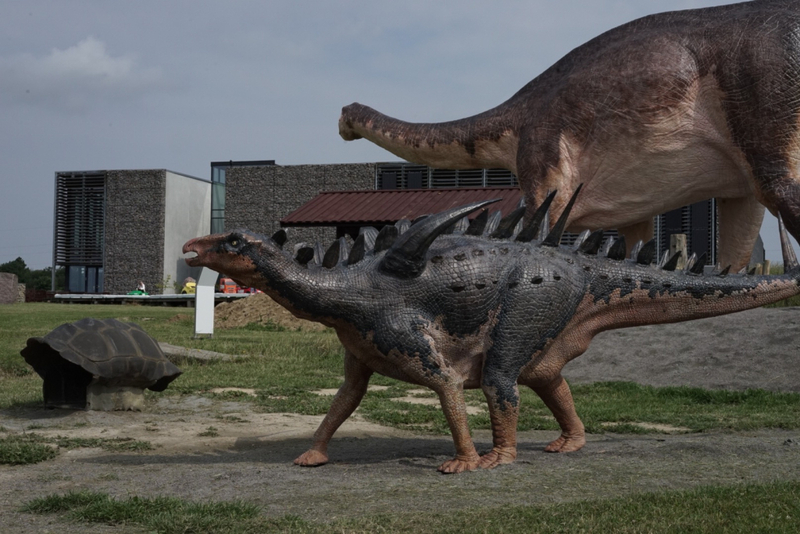 A new expedition was launched at the original fossil site in Kyrgysztan in 2000, and this yielded further bones. 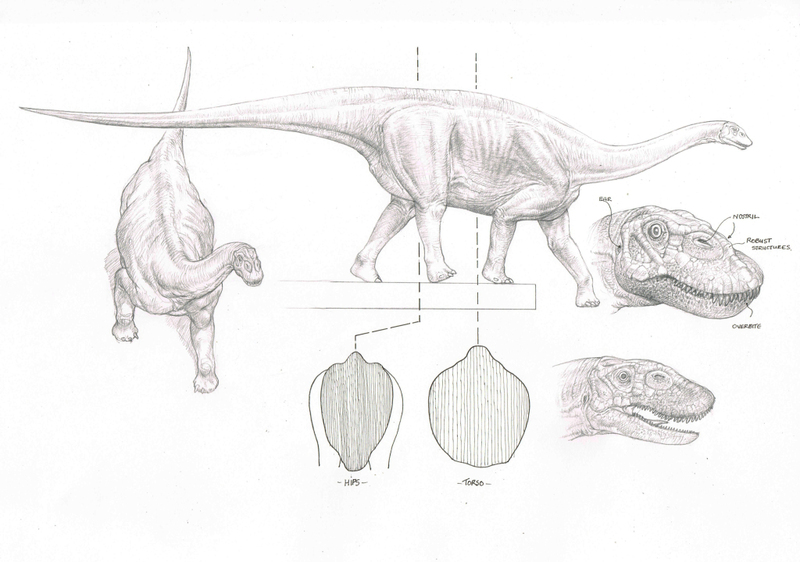 Despite this new material, and the drawings of the originals, both the skull and feet are unknown. 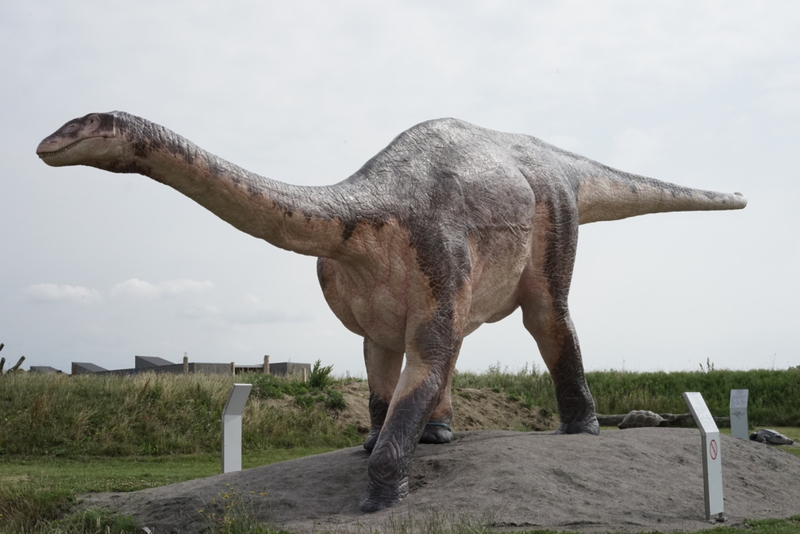 It was not until 2003 that Feganasaurus was described as an Asian sauropod from the Callovian in the Middle Jurassic (166.1 million years ago to 163.5 million years ago). 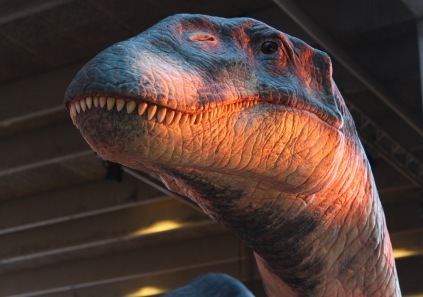 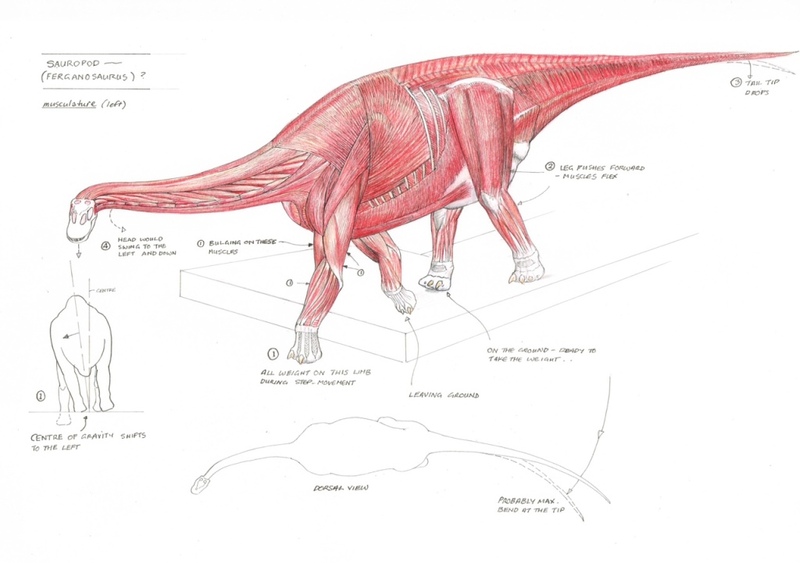 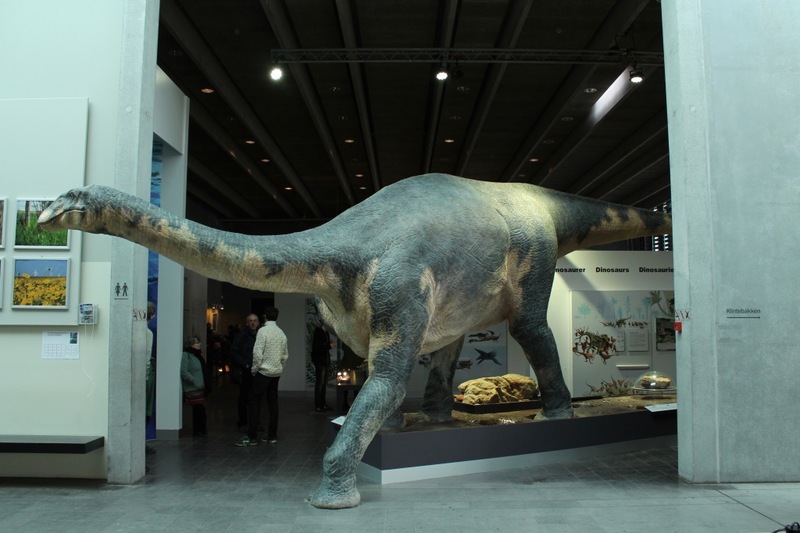 Sauropods are characterized by their very long necks, long tails, small heads, and four thick, pillar-like legs. 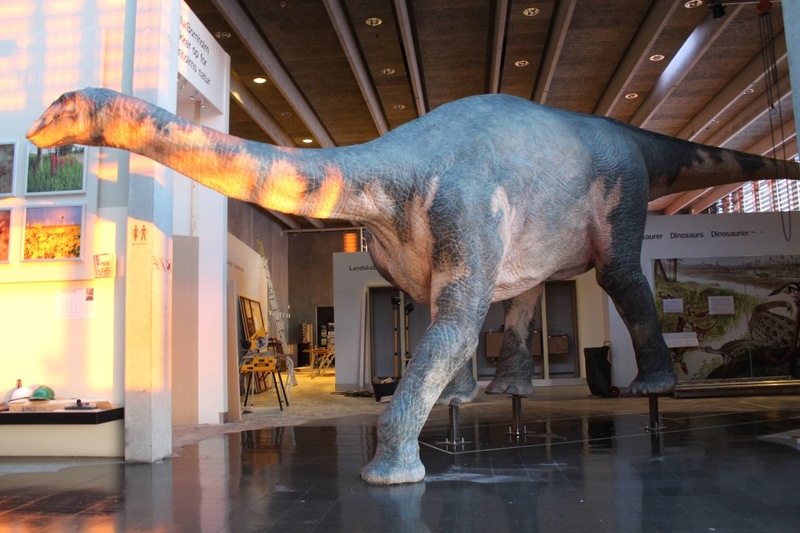 Ferganasauruses were ground-dwelling herbivores, growing to an impressive size of 9 metres long and 2 metres tall, and with an estimated body mass of 5.34 tons, based on the length of the femur. 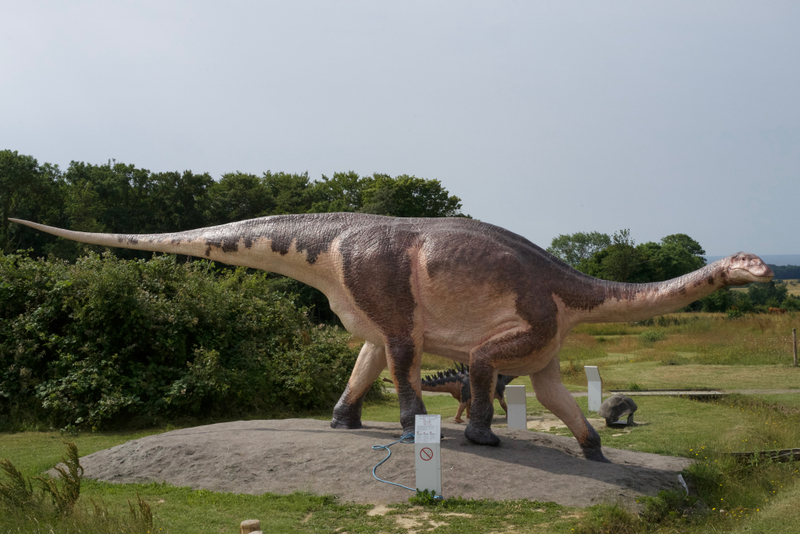 Foot prints of an 11 m. long sauropod from mid Jurassic was found and described by Jesper Milan at the island of Bornholm. 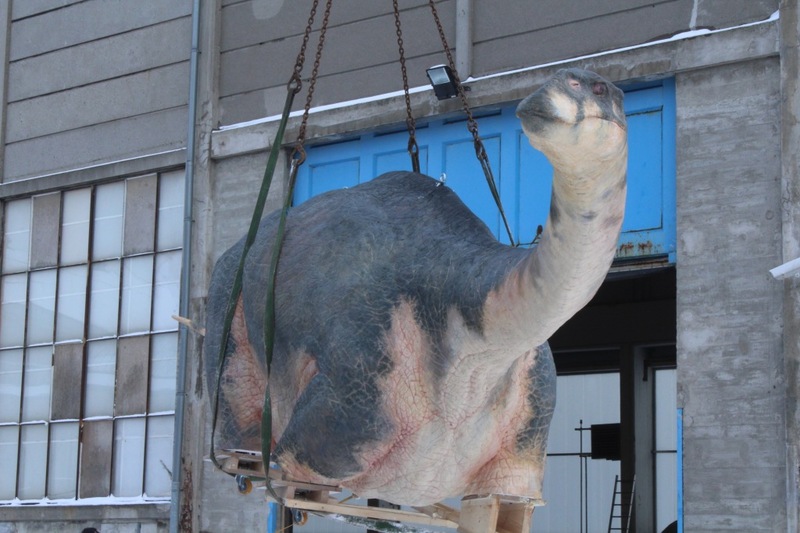 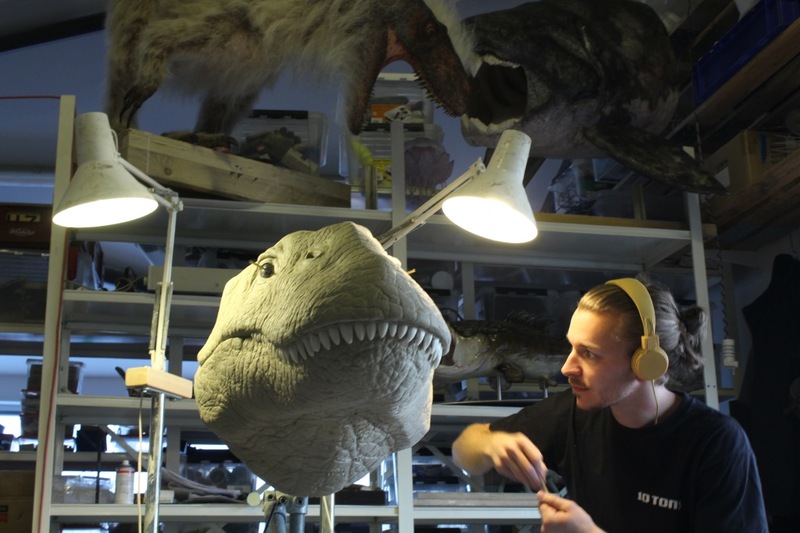 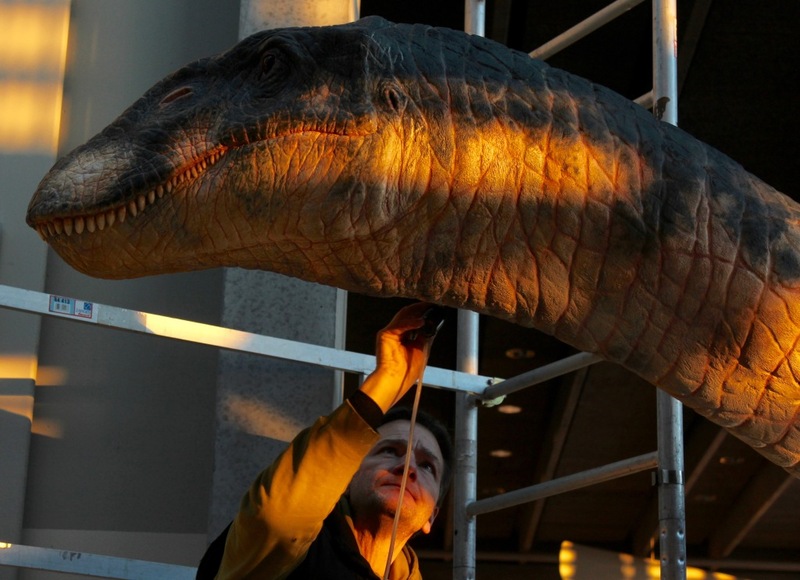 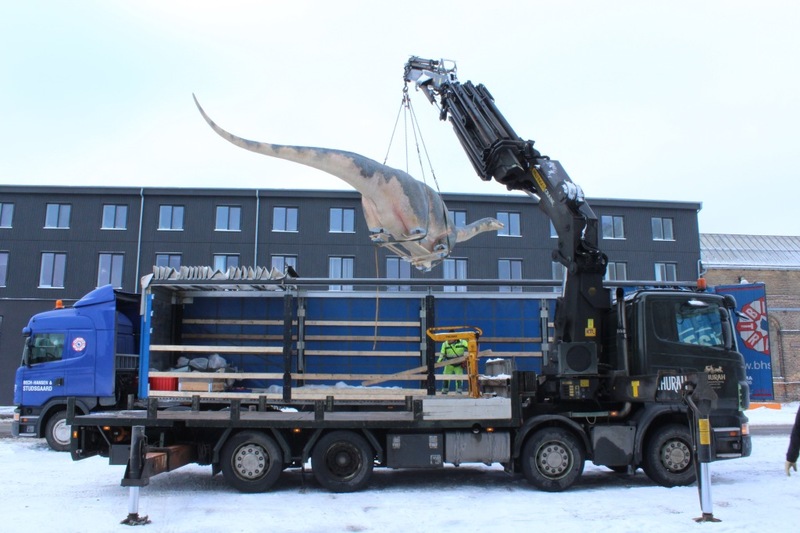 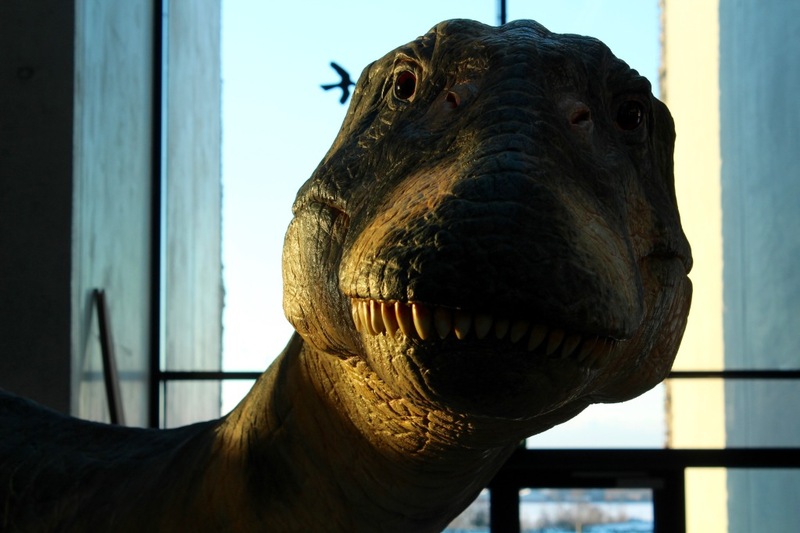 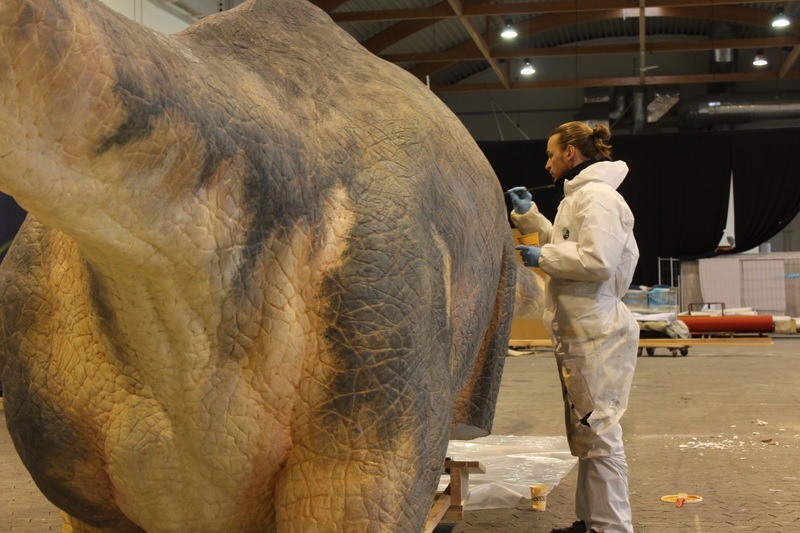 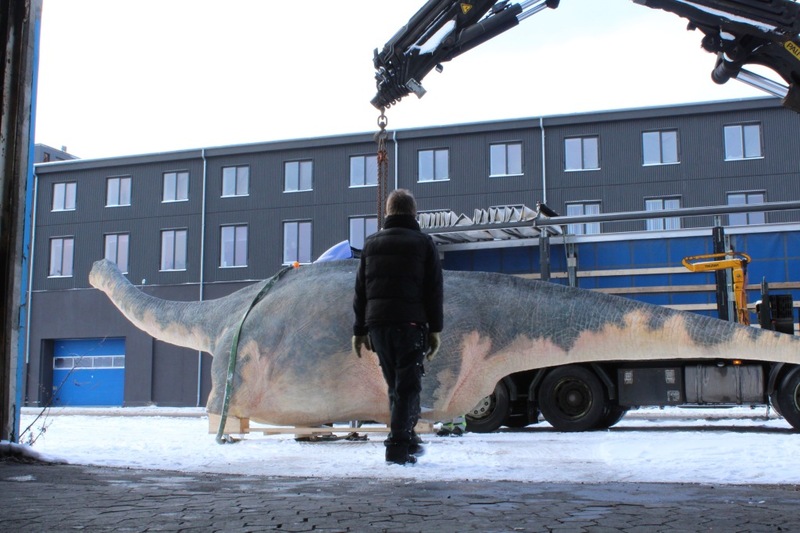 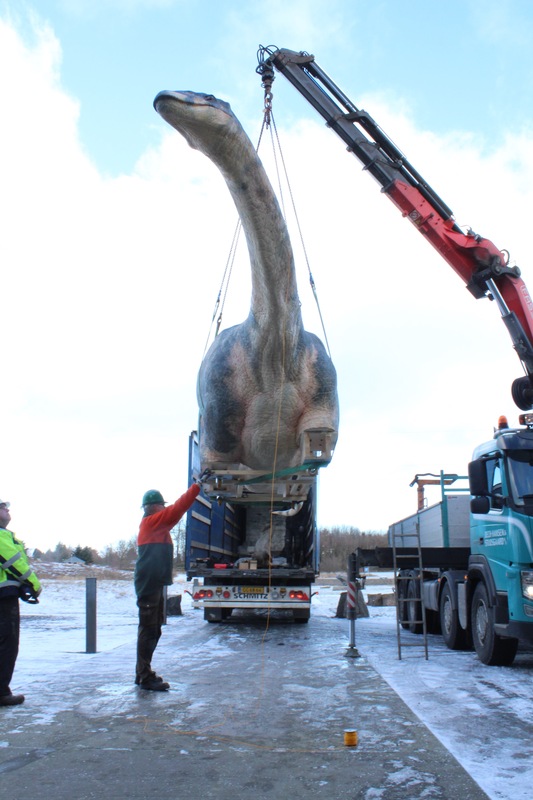 When NaturBornholm asked for a fleshed out model of the beast Jesper suggested to choose a Ferganasaurus. 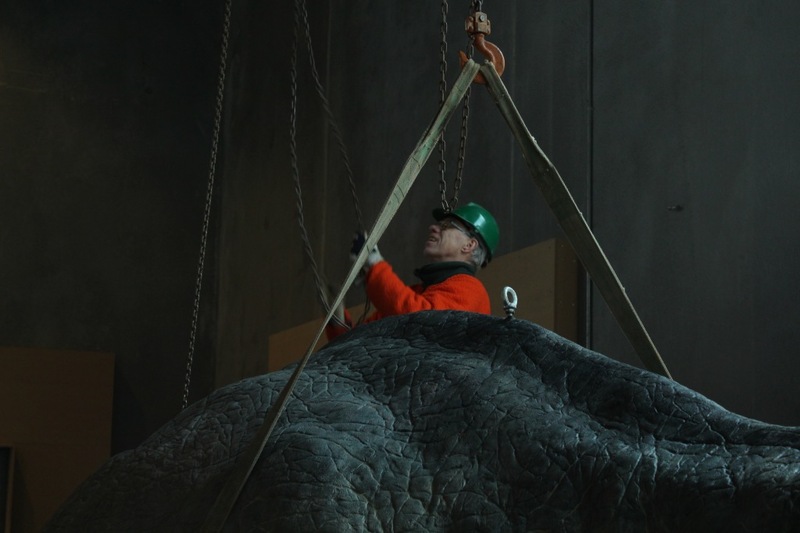 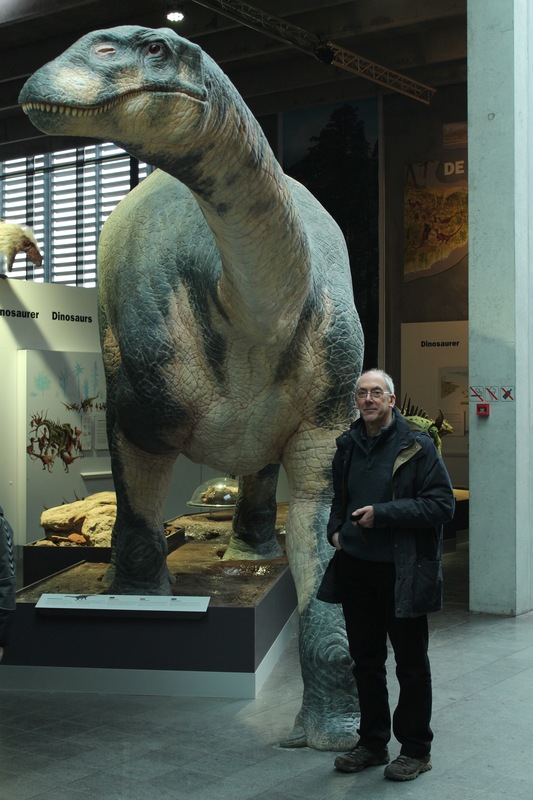 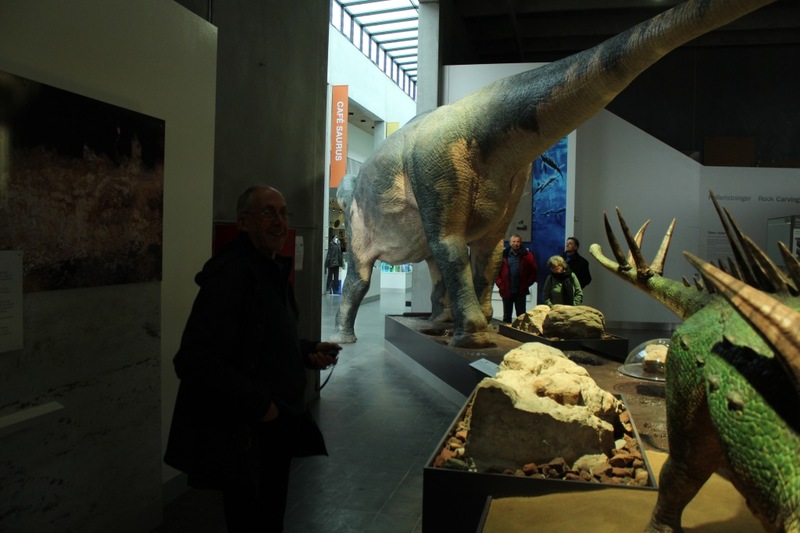 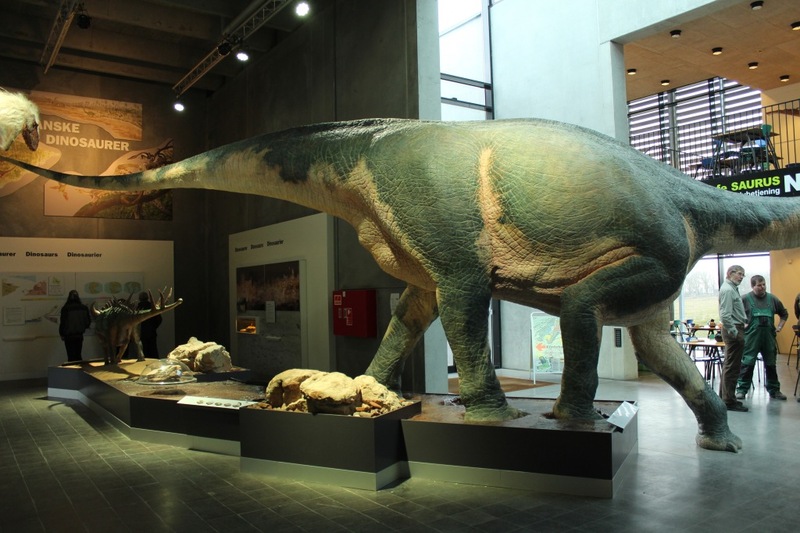 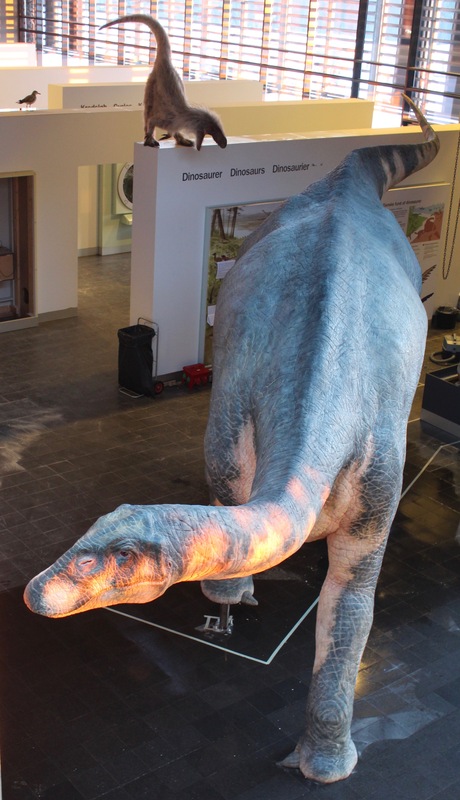 Director Peter Haase wanted the sauropod exhibited on a "cat walk" showing the foot prints and the sauropod stepping down on the floor - out of prehistoy and into present. 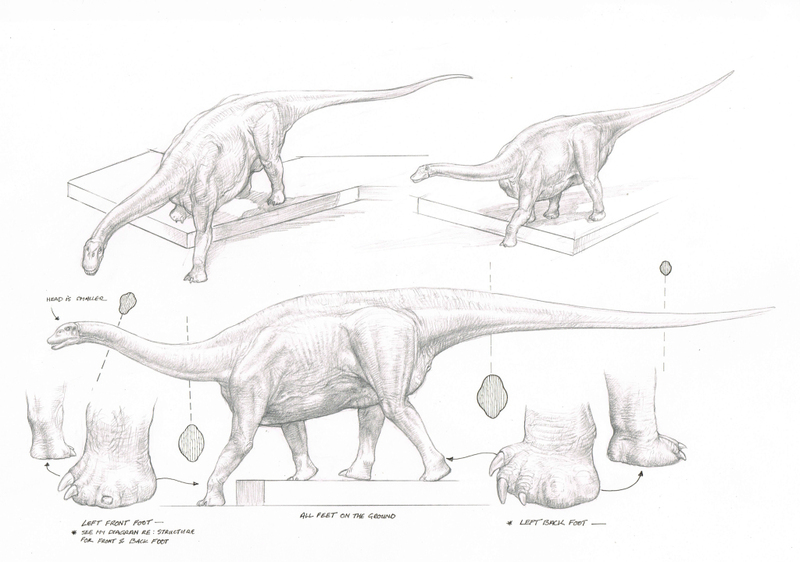 We asked John Sibbick to make a design sketch and make detailed drawings for the reconstruction. 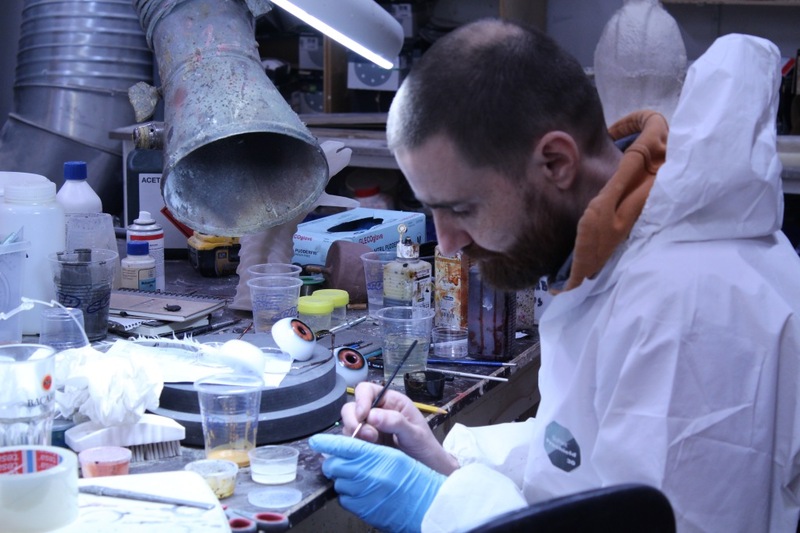 Stacey Wiik sculpted a detailed marquette that was 3D scanned and robot milled in styrofoam. 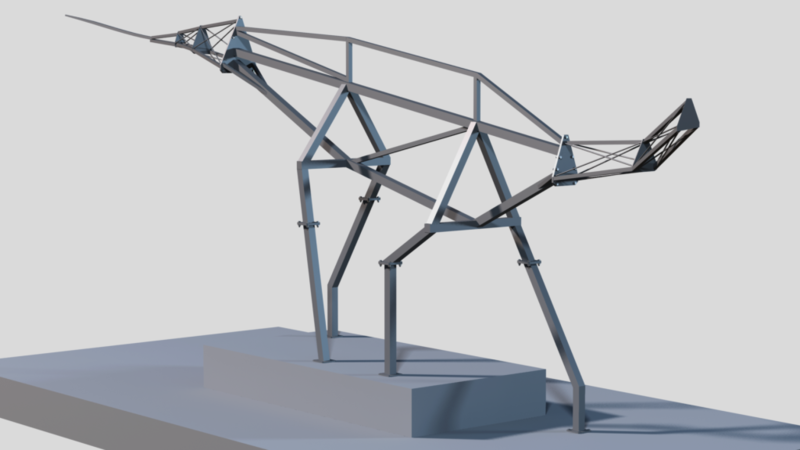 Søren Buus and Ole P designed the steel armature for the big model. 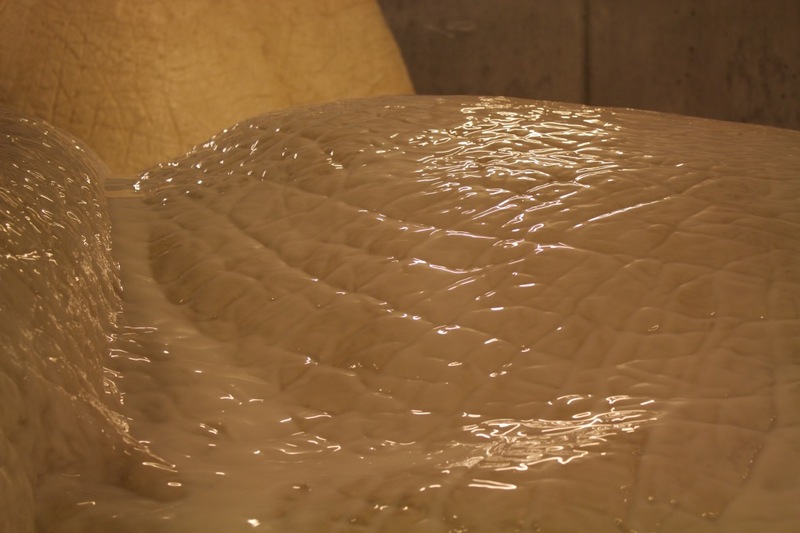 Rasmus from 10 Tons developed a special clay-like water based sculpting compound - non toxic and easy to use that would turn into a rock solid surface. 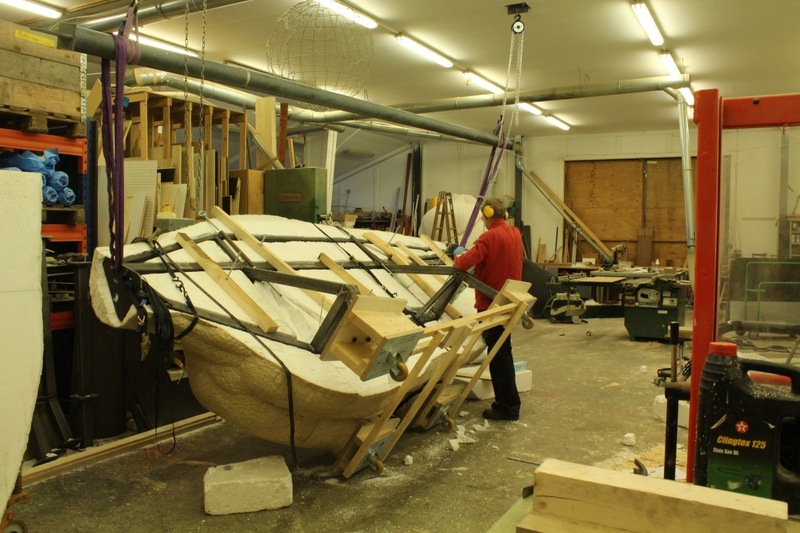 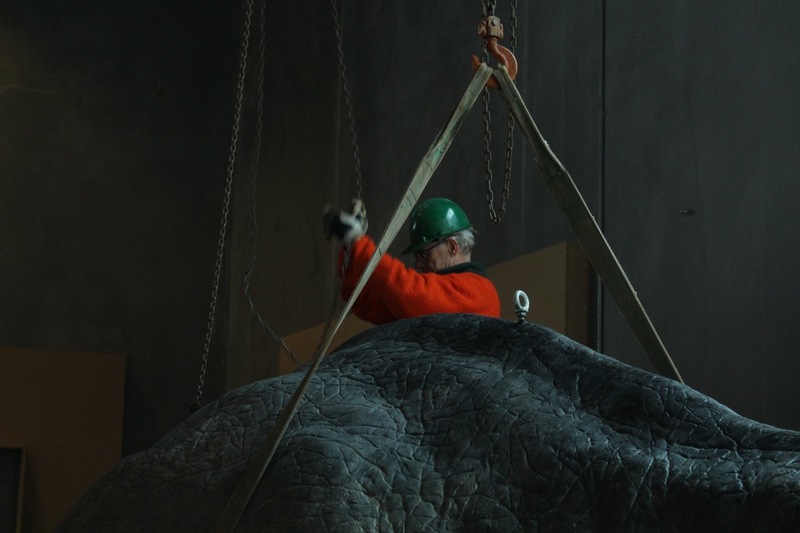 When we had finished sculpting, NaturBornholm asked for an out door copy - so we brushed silicone on the pieces and sent them to a polyester facility, that made back up moulds and started making the out door virsion while we assembled the sculpted version. 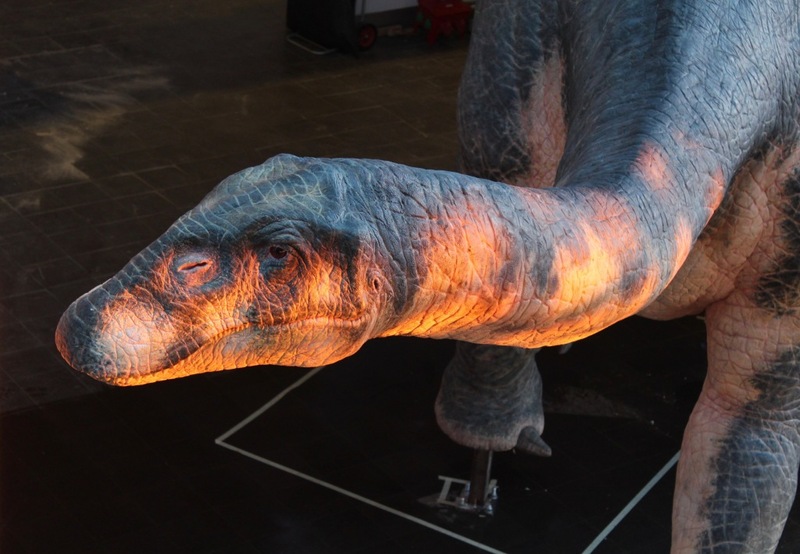 The model was painted with acrylic paint with brush and airbrush.